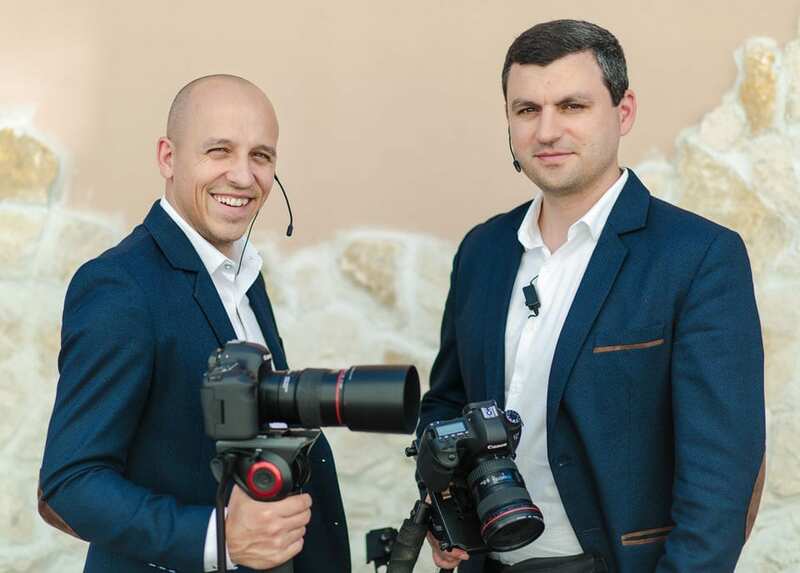 One of the biggest challenges for a professional wedding videographer is to present a story so that it is genuine, original and at the same time is able to spark emotions in the viewer. With this goal in mind, we launched the Story Films brand in 2013, a trademark that tried to combine my experience and my colleague’s experience with our vision on how a wedding film should look. Although it might be unusual, we have not seen ourselves as a professional wedding videographer ever since childhood, and we haven’t dreamt in our wildest dreams that we will sometimes travel to capture one of the most important days in the life of people, the day when a new family is formed. Obviously, there were aspects that we liked and have always been passionate about which are now the subject of our daily job, like the passion for technology and the film industry in general. I loved in my childhood the documentary films of David Attenborough about nature, plants and wildlife, equally enough I was fascinated by all of the National Geographic and Discovery documentaries. This time was the time when I developed a passion for everything related to geography, countries, capitals, continents, regions. After finishing my studies I opted for the Faculty of Economics, motivated by the success of an entrepreneurial contest back in my high school years. Because filming means a lot of teamwork, it is difficult for a single person to focus on many things at a time and to give maximum performance for a full day. So I was looking for someone who shared my vision and can become my partner. As mentioned above, in 2013 I’ve met my colleague and we lanced the brand from the first moment with a team in mind. In general, someone working as a professional wedding videographer can be considered a lucky person. It’s not easy to have full responsibility both for yourself and for the service you offer, but the reward of a smile, of a “thank you” or the certainty in the eyes of couples that they have chosen the right wedding videographer and you’ll offer memories of an event that takes place once in life, is truly motivating. As professional wedding videographers, in the past few years, we have filmed absolutely superb events, at venues near the sea ( example ) or at weddings held in mountainous regions ( example ). It’s a great feeling to enjoy the event with the couple, their guests, friends, families, who all gathered to celebrate that important moment. What makes the experience with us different? We believe in a non-intrusive shooting style, which does not try to impress, which is not measured in quantities, but which offers the pleasure of memories both in the short term and over 5, 10, 15 years from the wedding. It’s great to get a call from a former customer who says, “I have a problem with my wife … she can’t stop, she keeps looking at the wedding video over and over again.” Besides professional wedding videography, it is important to mention that we can offer ideas and suggestions so that both the planning and the wedding day will be stress-free and the focus stays on emotion, energy and why not, tears of happiness. We are not wedding planners, but we have extensive experience in this field, we are among the first wedding vendors to be booked generally, and we keep in touch with the majority of couples who choose us. We are present almost throughout the event, so you can ask us about anything with confidence!